We all know the Bhikhu Mhatre in film Satya, yest I am talking about Manoj Bajpai. Manoj Bajpai has also be seen in new movie Aligarh. 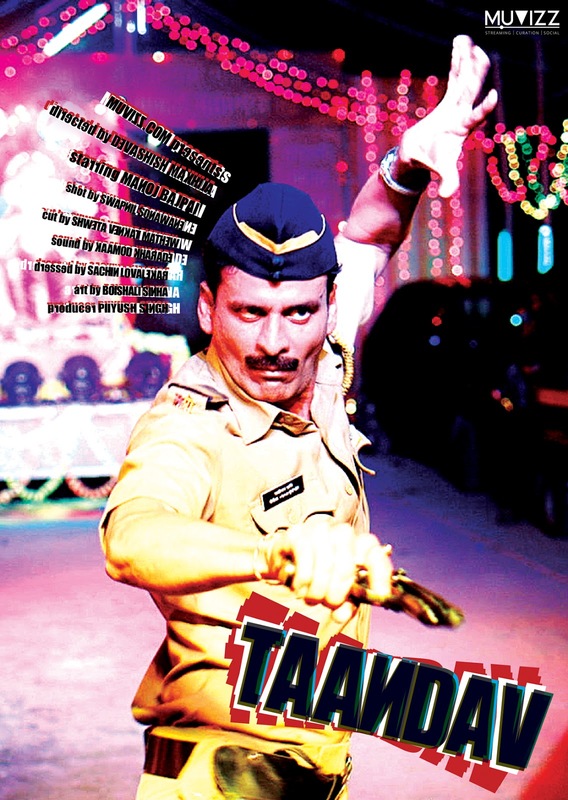 We have invited to check Manoj Bajpai upcoming moview teaser Tandav released by online film streaming websites muvizz.com. As you can see in the poster Manoj Bajpai acting as head constable in the movie who is struggling in his life. Since one side he he want to travel his life journey on righteous path where on the other hand his faces problem which can be solved if he select the dark paths. Tandav is described as a vigorous dance by lord Shiva that is the source of the cycle of creation, preservation and dissolution. The Taandav dance in itself depicts angry dance movements, and immersing oneself in that dance to overcome the feeling of frustration. This movie is intended for us that we do not notice many things in out day to day life. This things are part of daily life still we tend to ignore it or we are so buys to notice that happening. Manoj Bajpai shown as policeman who is very honest police head constable but that honesty do not fulfill his basic needs which general man need indeed. Through Manoj’s character the short film tries to show the massive struggle and frustration they go through every day on the job.